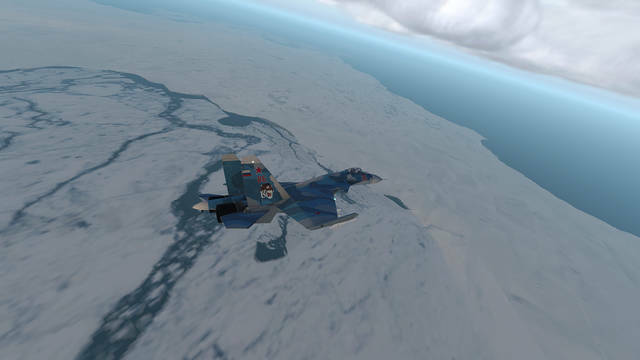 This is the great scenery of the far north of the Russian territory. 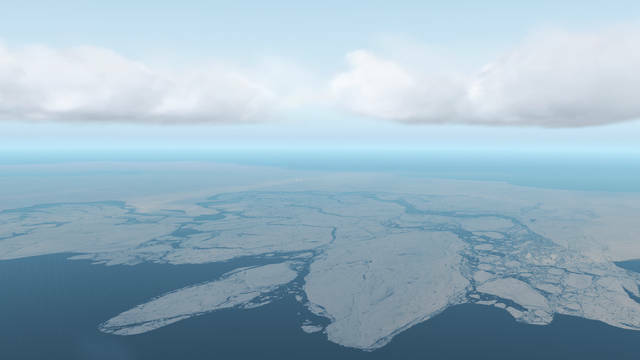 With more than a million square miles it completes the Arctic's mega-scene. 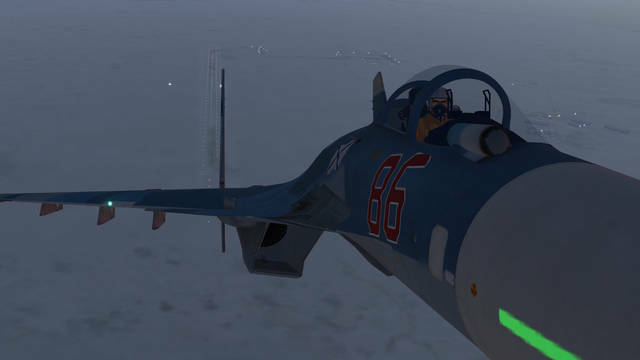 It starts from 44 East to 152 East and from 72 North to 82 North. 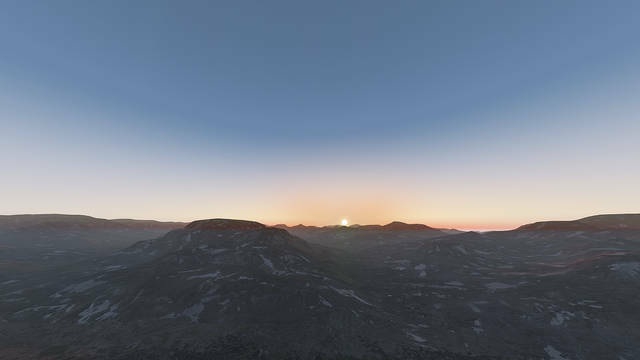 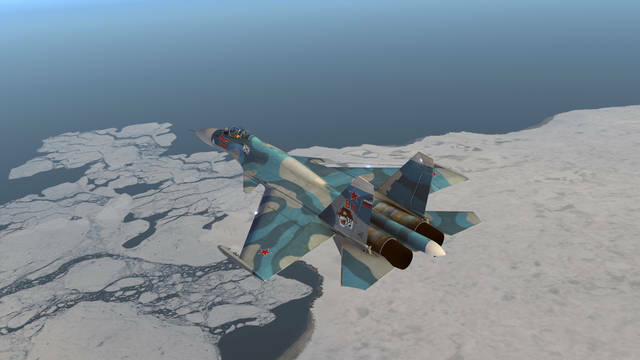 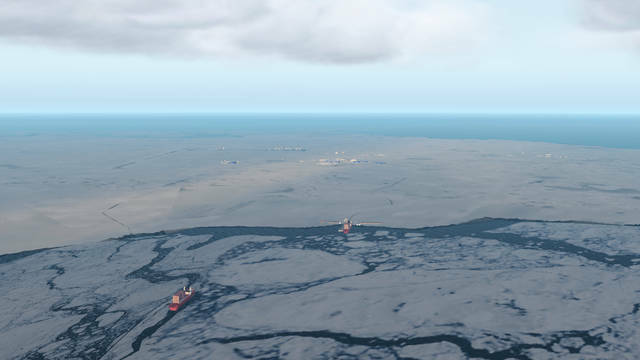 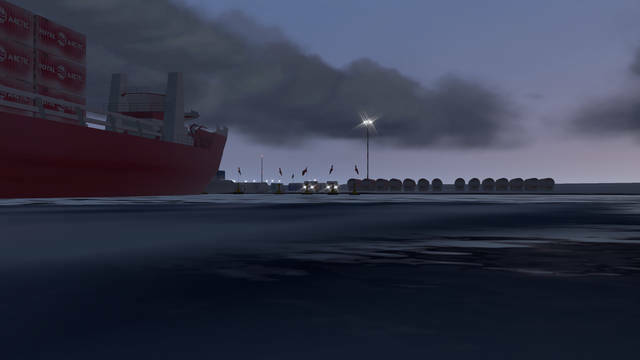 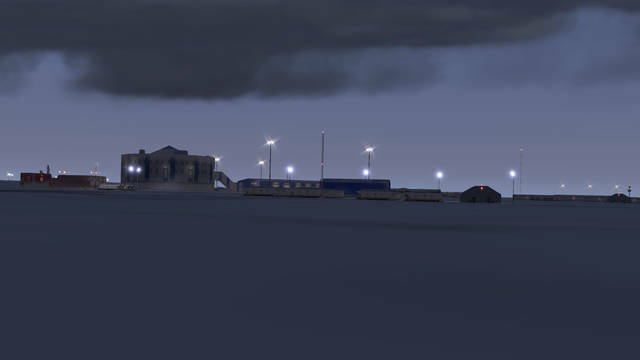 The previous packages that make up the Grand Arctic Scenery and this now, Russia Xtreme Arctic complement the overall X-Plane scenario above the 73 degrees parallel. 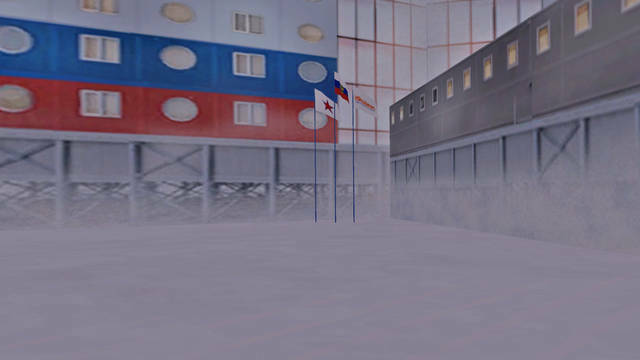 The two together embrace all arctic polar circle. 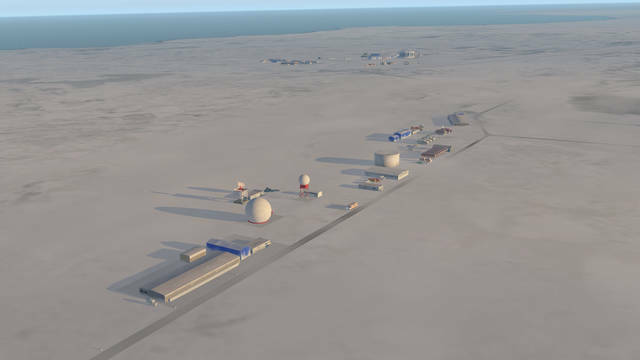 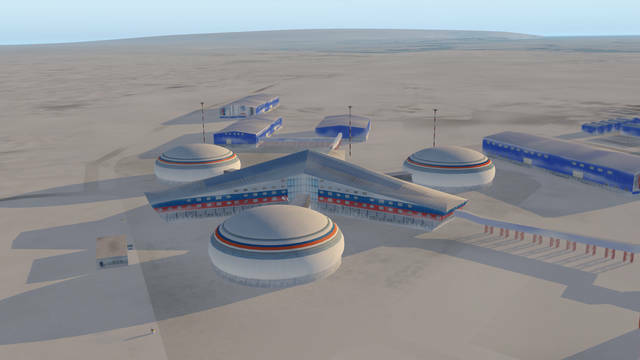 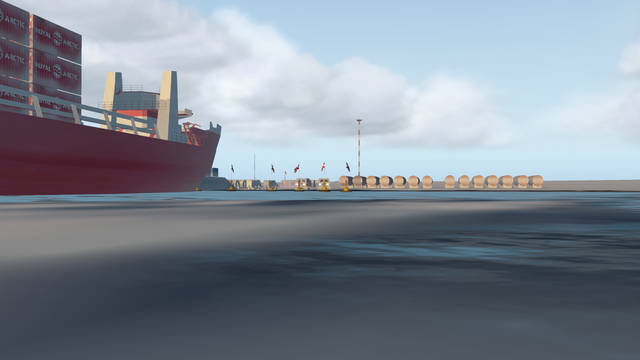 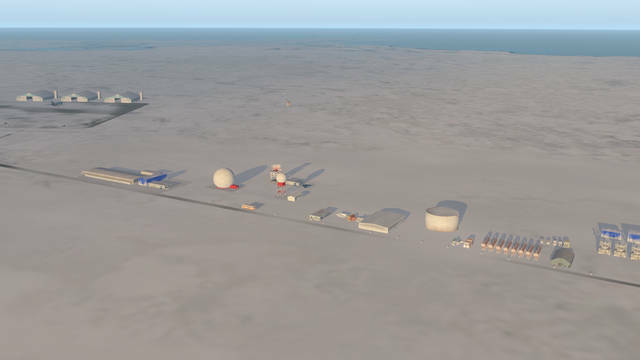 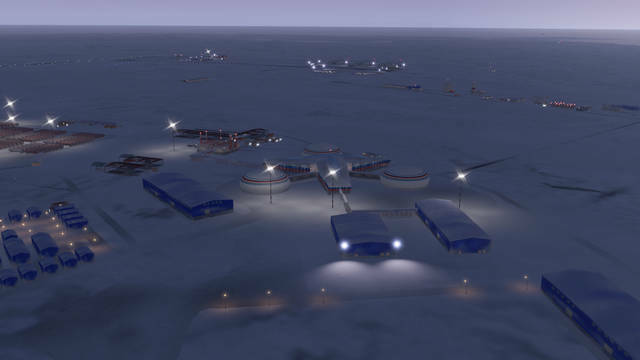 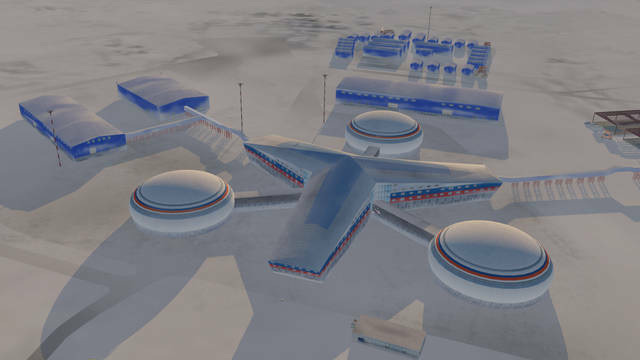 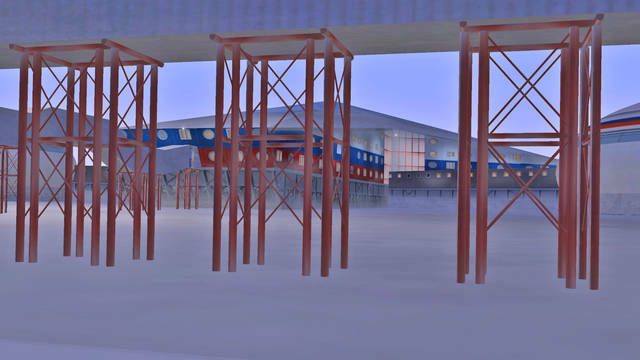 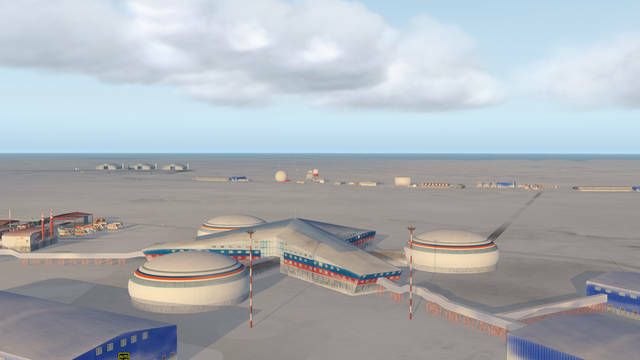 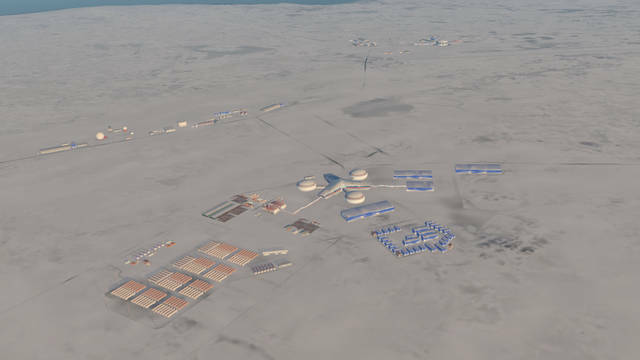 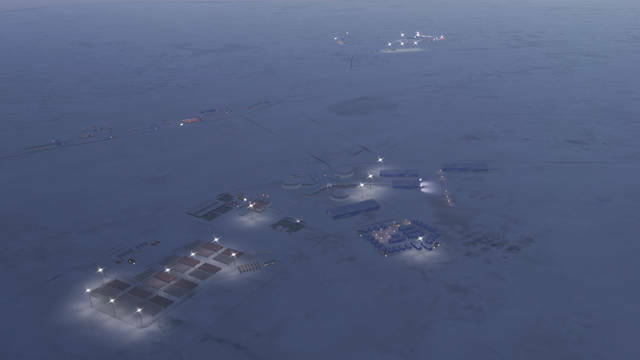 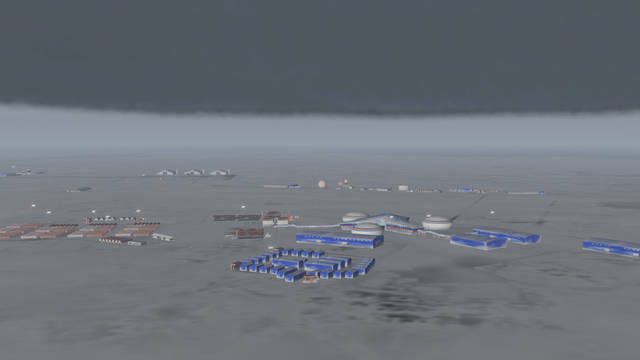 Russia Xtreme Arctic brings the base of Nagurskoye, still under construction, located in Alexandra Island, being the closest Russian air base of the North Pole. 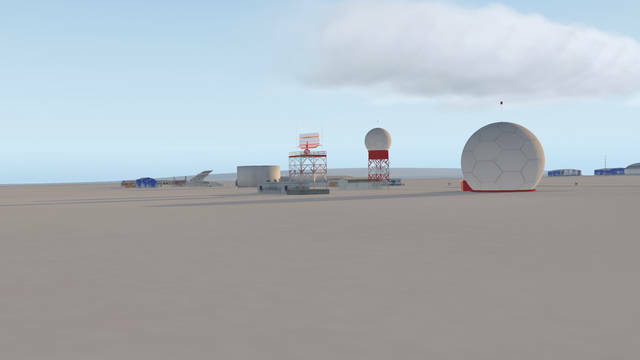 Due to the degree of difficulty of references, the construction of the base will undergo several modifications in the future. 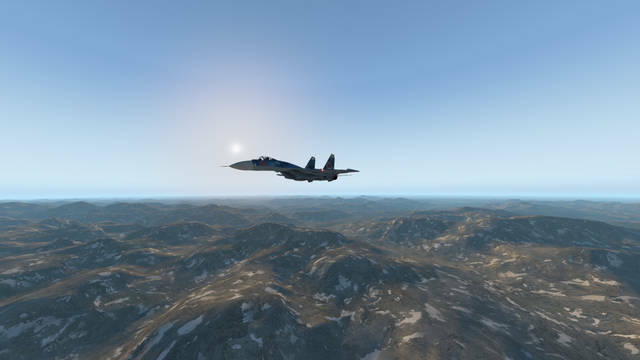 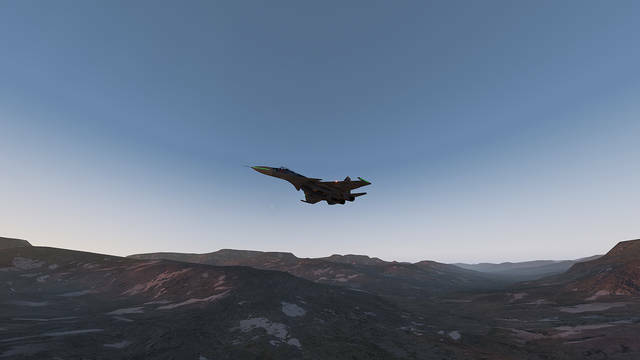 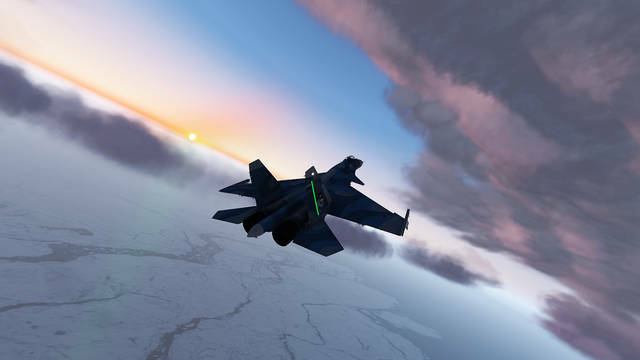 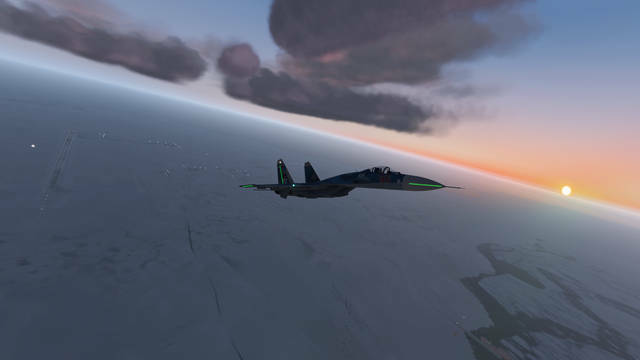 In this package we use the Sukhoi Payware designed and programmed by pizzagalli.ch, to compose and fly the scenarios, which forms a beautiful set. 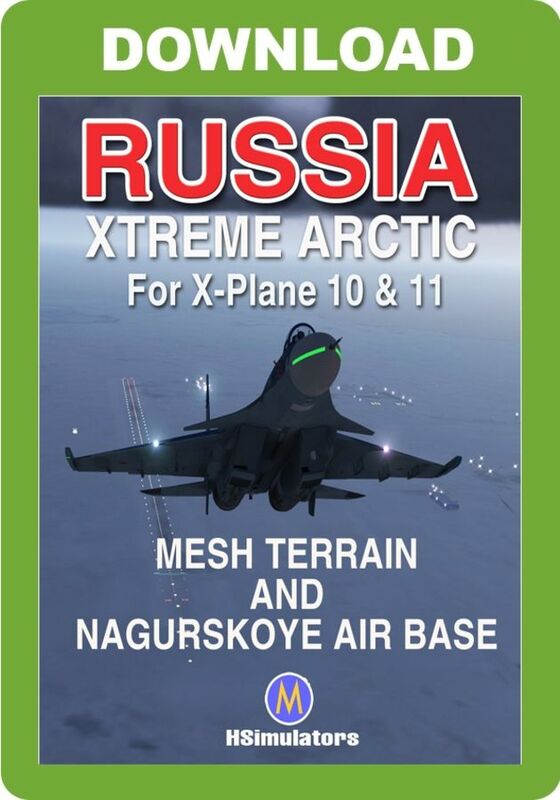 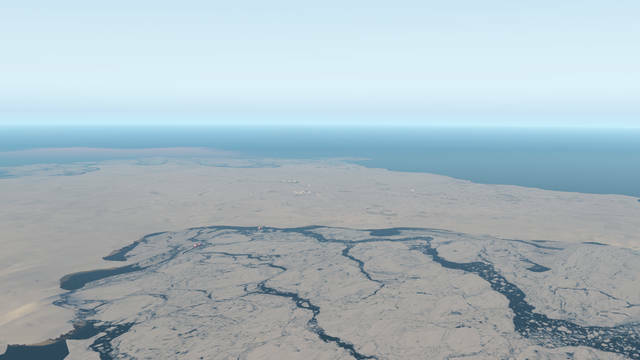 This pack contains: All mesh terrain for Russia territory above North 73 parallel, above 1 million square miles. 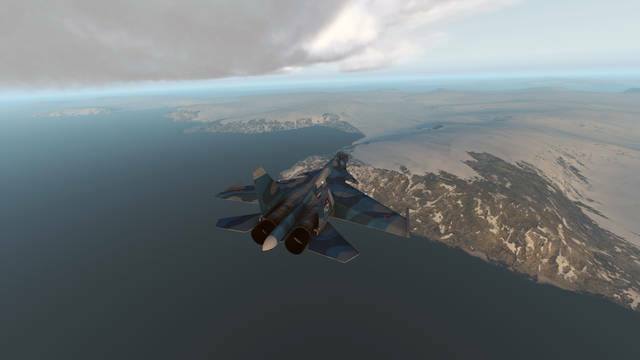 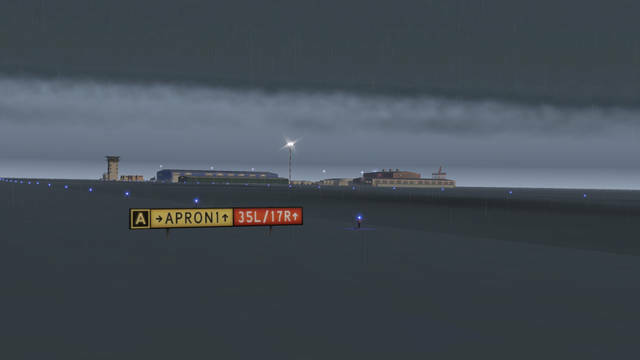 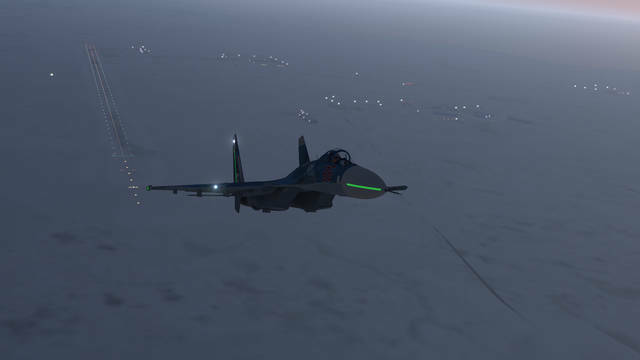 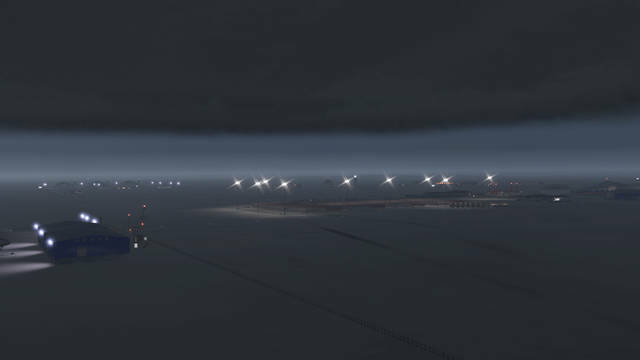 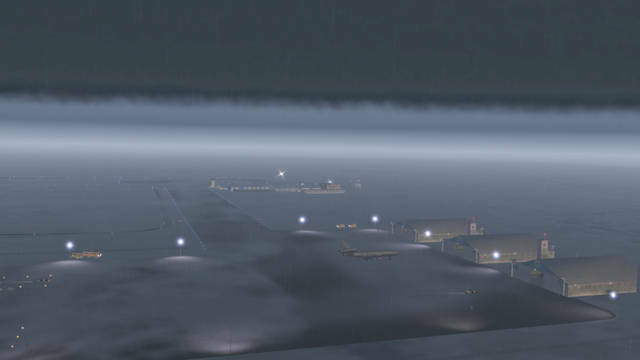 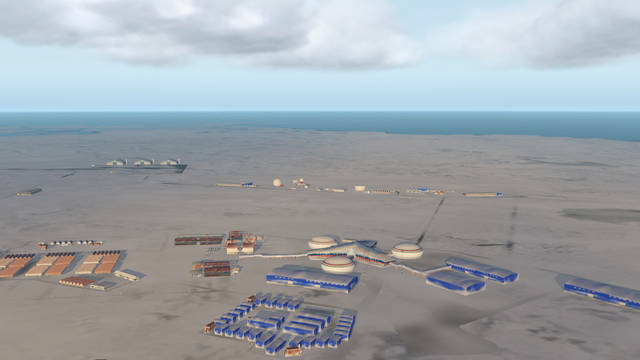 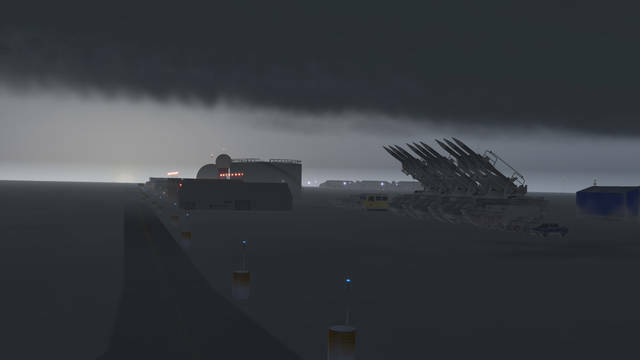 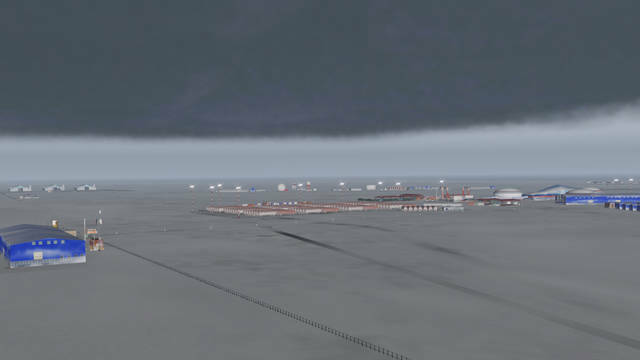 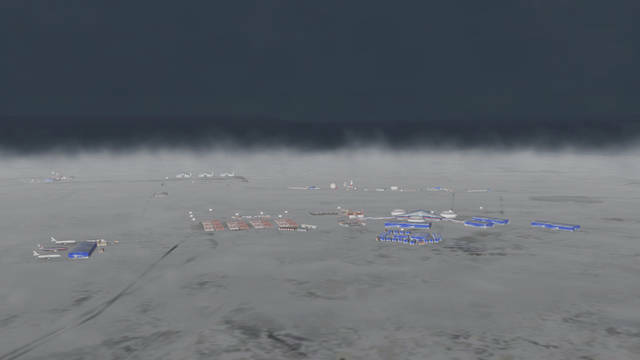 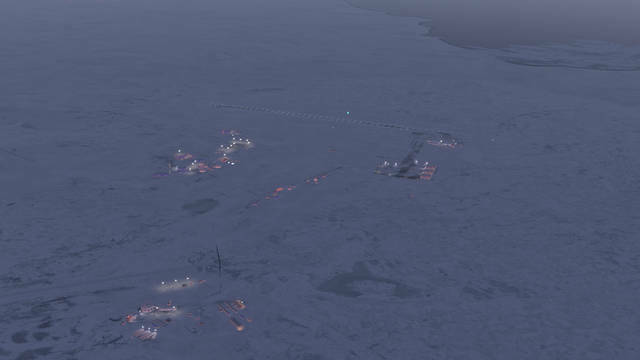 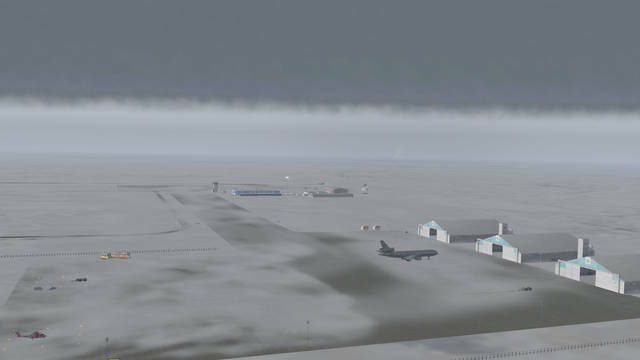 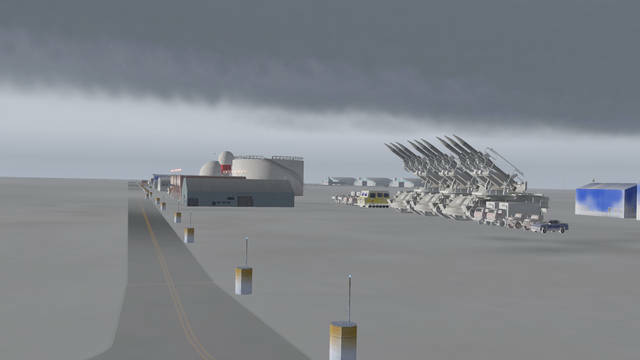 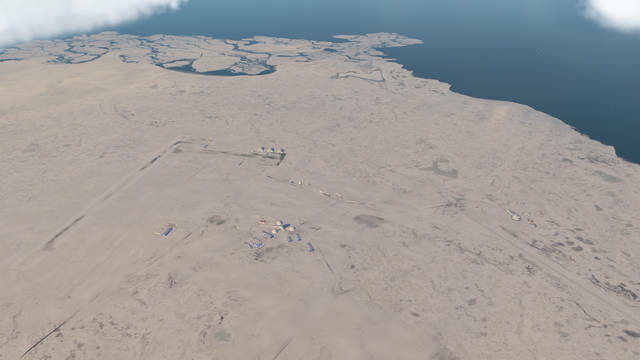 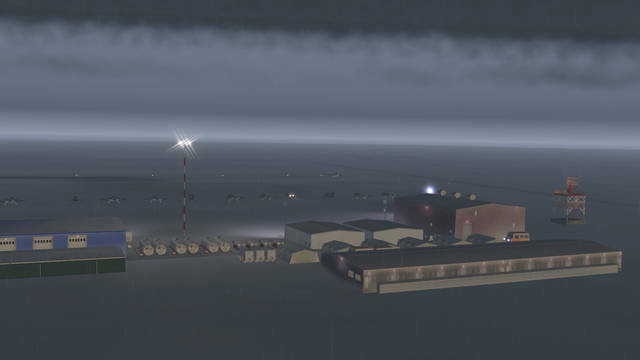 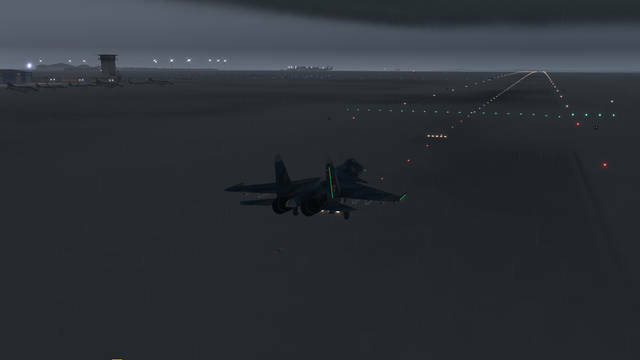 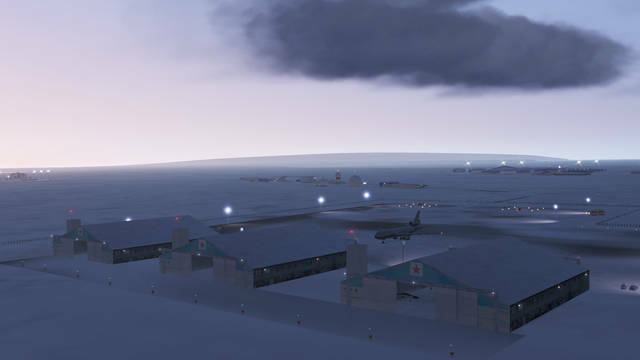 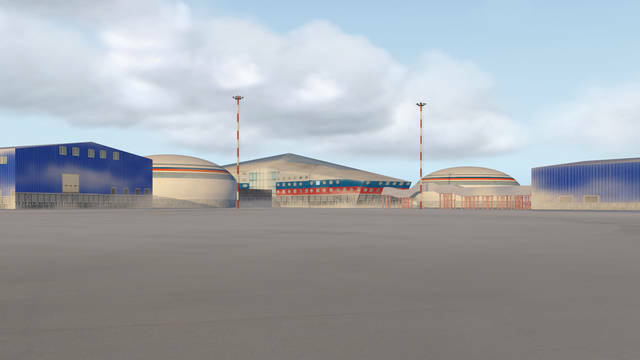 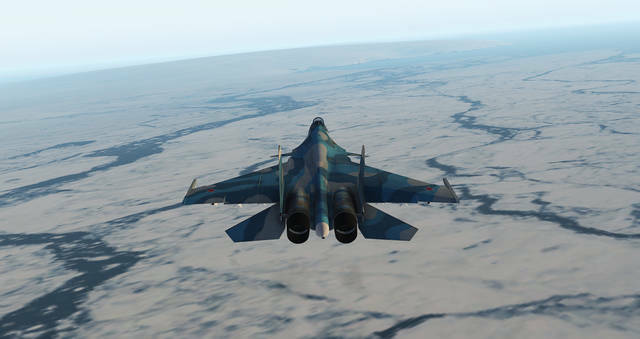 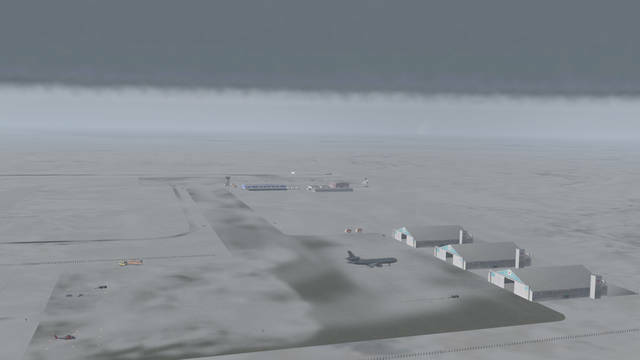 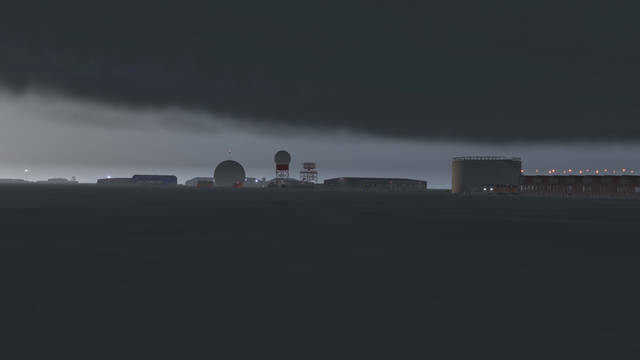 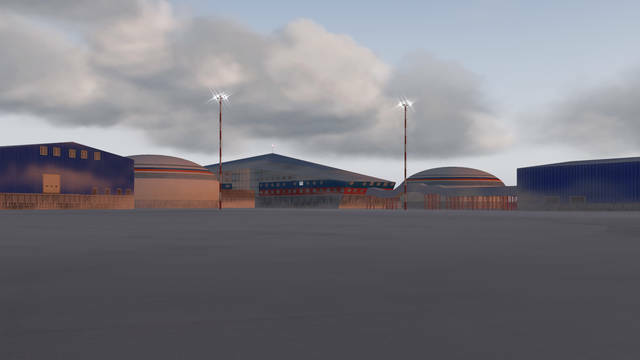 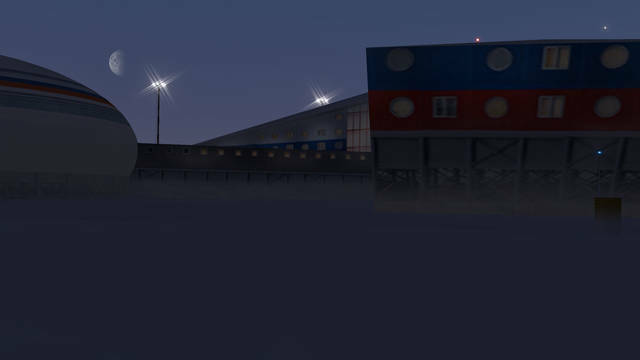 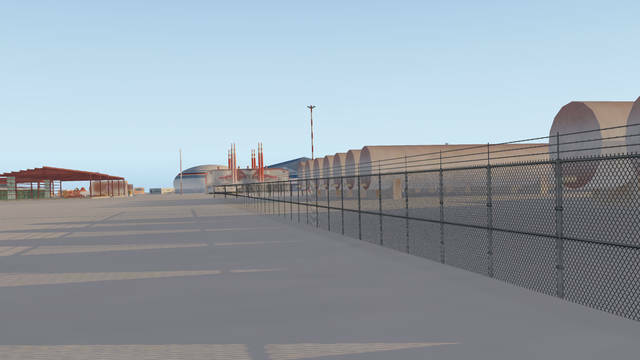 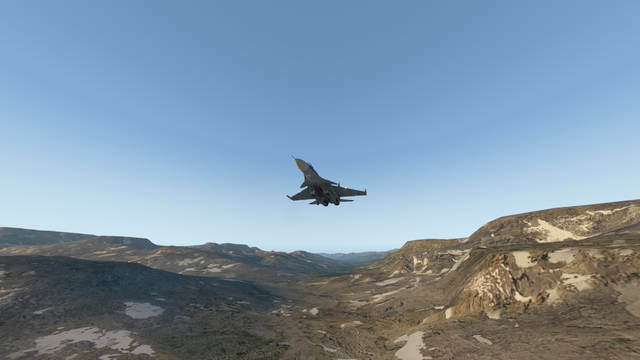 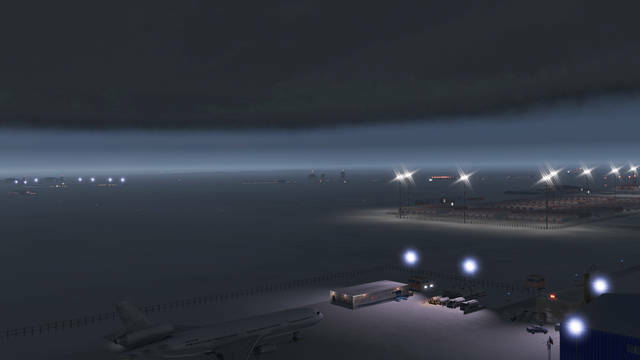 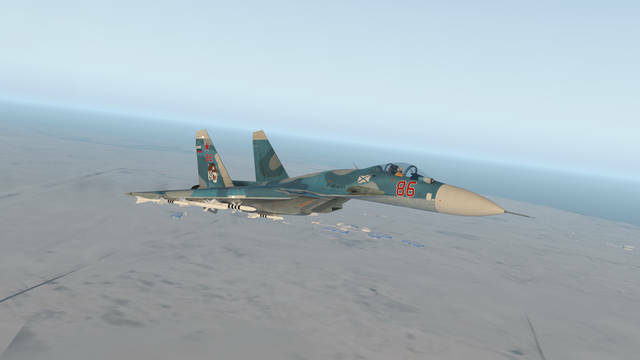 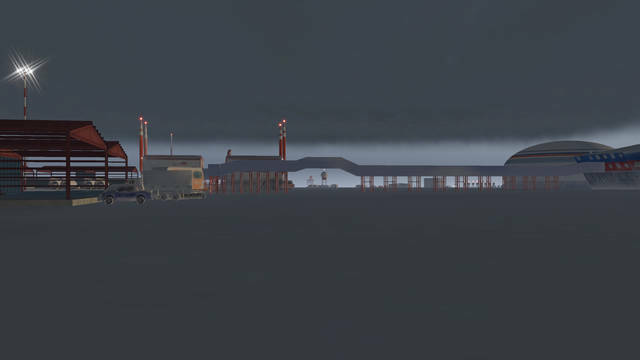 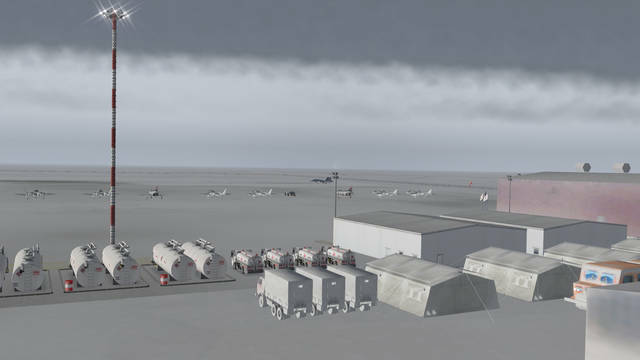 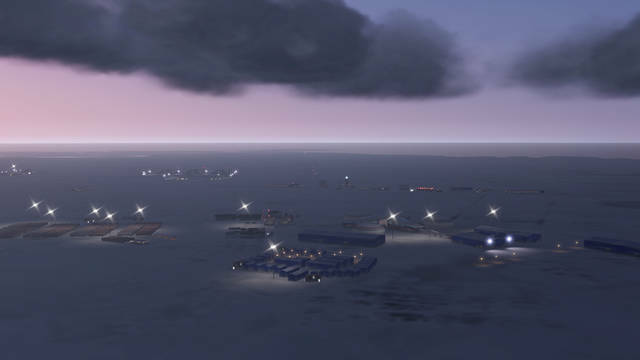 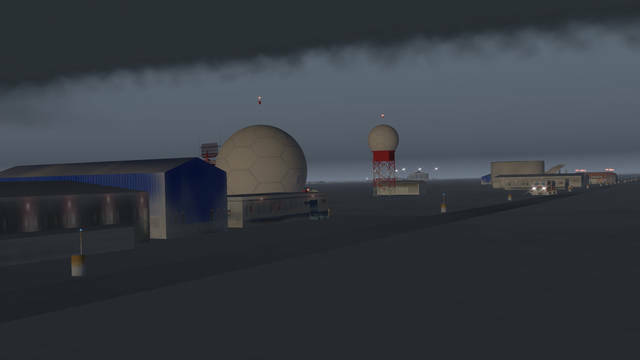 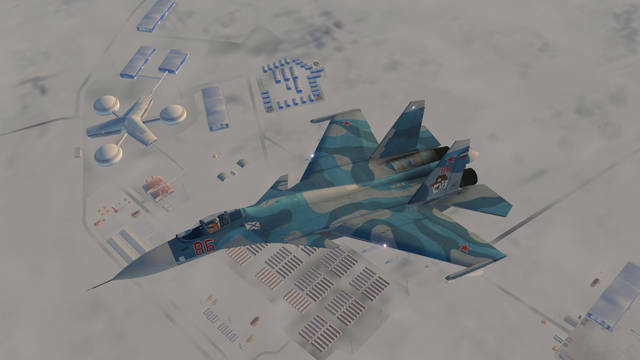 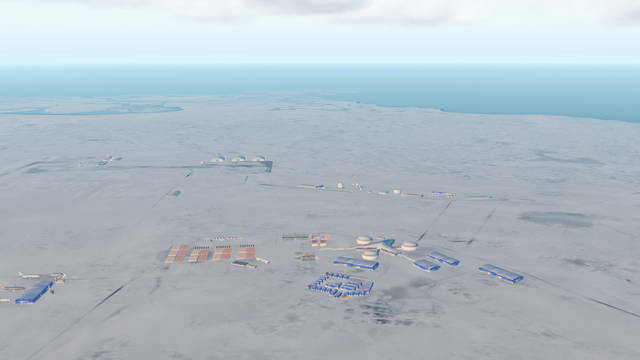 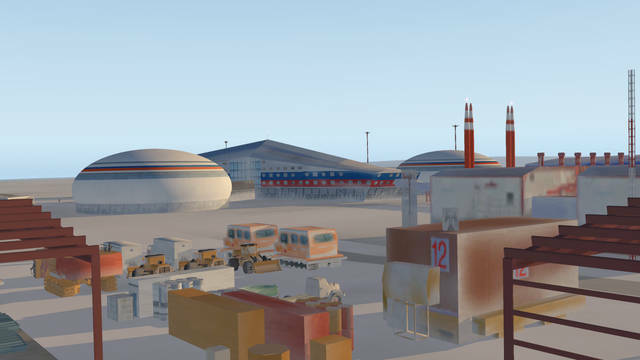 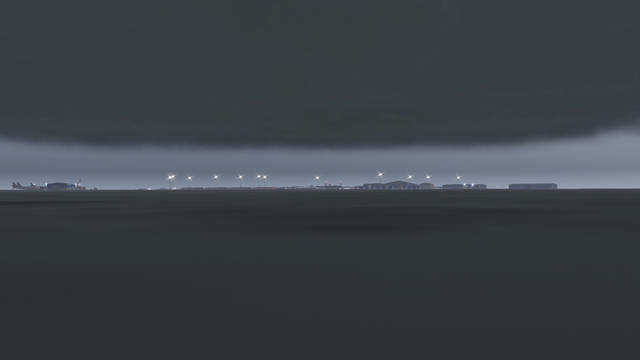 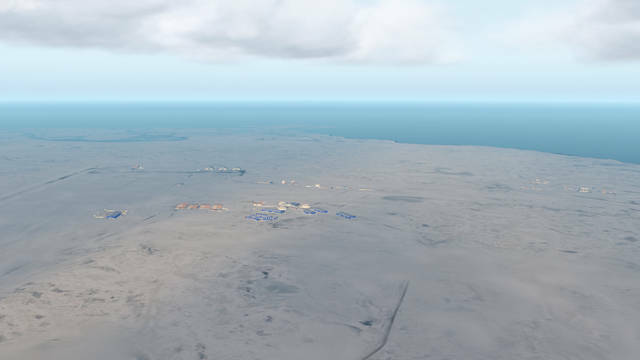 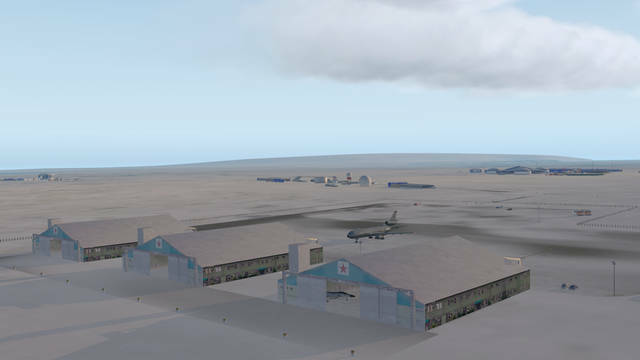 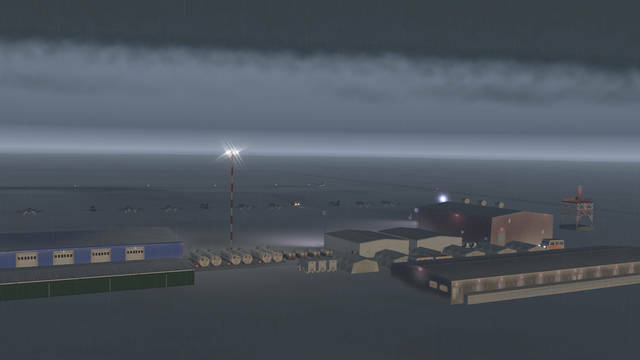 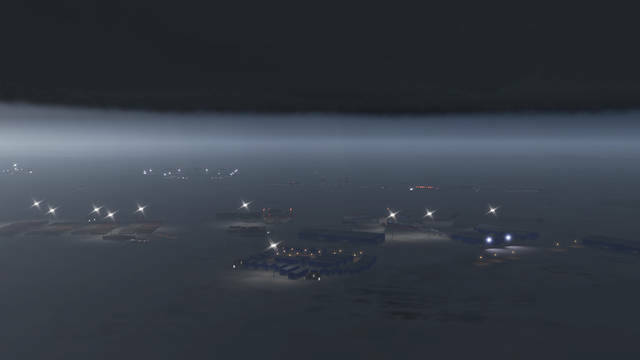 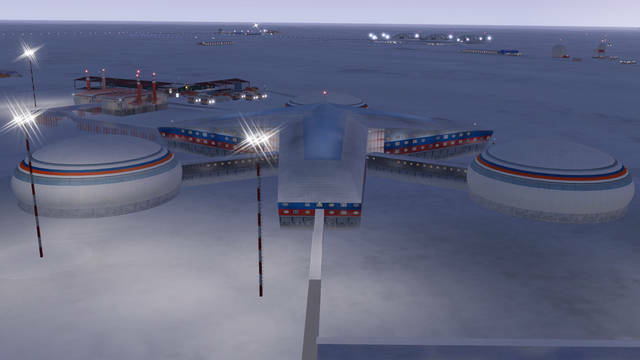 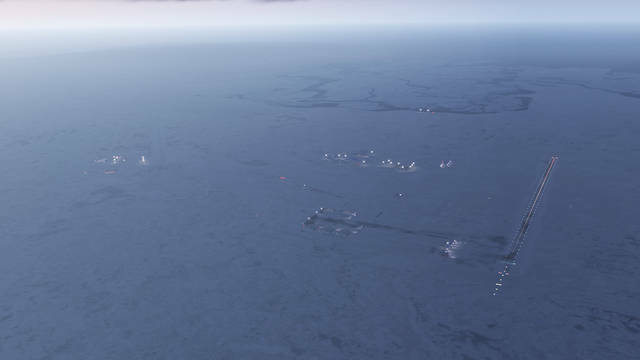 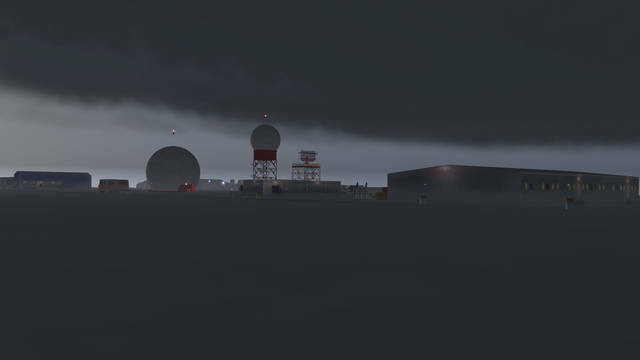 This X-Plane scenery includes mesh terrain for Russian territory above the North 73 parallel, with a 3D rendition of Nagurskoye Air Base (UODN), which is still under construction. 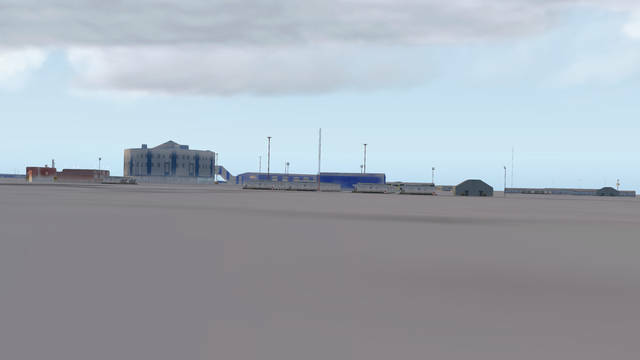 Several other 2D airports are also included.